We always joked about the zombie apocalypse. Zombies were pop-culture favorites on social media, television, and in our books and periodicals. We loved zombies; they were a mindless, fictional, enemy against which we had no moral qualms for killing. 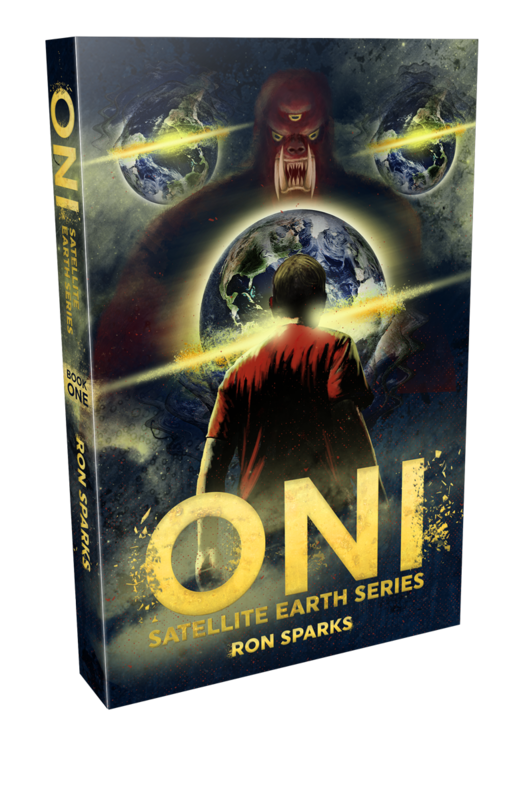 Imagine our surprise when the zombie apocalypse actually occurred, and took an unexpected twist none could foresee. The death of humanity began so innocently. How could we have seen it coming, much less done anything about it? Ugh; I’m screwing this up. Let me tell you how it started, for me, and then maybe it’ll make sense. Alligators and mosquitoes; my two constant companions greeted me as I slogged through the knee-deep Florida swamp. The gators barked warnings when I strayed too close and the mosquitoes just indiscriminately attacked me no matter where I walked. I ignored both; my focus was on the turkey that I’d spotted in the distance. Turkey season was almost over, and I was determined to bag one for next week’s Thanksgiving dinner. No way was I going to settle for a chemical filled supermarket bird; only the best for my husband and daughter. I just wish I’d started earlier in the season; there were slim picking now and I’d been forced to search far and wide for a bird. Why a turkey was in the swamps was beyond me, but there it was. It was behaving erratically, swaying, falling over, and making random distress clucks. I grinned as I realized the turkey had probably stumbled into Old Teddy’s whiskey still across the way. The corn mash was irresistible to local wildlife and, more than once, I’d seen a passed out drunk possum or raccoon. And now a turkey. Pre-marination was not a bad thing, I supposed. I fell to one knee and sighted the bird down the barrel of my shotgun. With a steady pull of the trigger, it was done. The shotgun boom echoed off the water and through the trees. The gators stopped barking at the sound and even the mosquitoes stopped biting in reverential respect of the power of the rifle. I stood and retrieved the turkey. It was a big one, weighing over twenty-five pounds. It was way more turkey than my family of three needed for Thanksgiving; we’d have Turkey sandwiches for days after the holiday. We’d be sick of turkey before it was over, but right now my mouth was salivating at the thought of frying this bird up. I made my way back to my truck, with visions of Thanksgiving dinner running through my mind. With the Duck Plucker 4000, a de-feathering machine my husband’s friend Chris constructed for us, I’d have this bird ready for the table in no time. Thanksgiving was my favorite holiday. It was the only day we all ate together at the dining room table instead of in front of the TV or on the run. Easily half of all my family pictures on Facebook came from Thanksgiving dinners. I wasted no time de-feathering the turkey in the Duck Plucker when I got back to our trailer. I’d finish the rest of the prep inside, but I didn’t want feathers, or the mites in them, inside the house. I threw the bald turkey on the counter, where it landed with a wet thump, and went to the bedroom to change out of my wet clothes. I rushed through a quick shower; daddy was due home soon with my daughter, Casey. They’d be happy at the size of the bird I’d bagged, and I wanted to catch them as they walked in the door. They were right on time; I heard his Jeep in the driveway as I exited the shower. I threw on my robe, ran a quick comb through my hair, tied it back in a loose ponytail, and went to greet them. The turkey was standing on my counter. Alive! Impossible, but it was alive. When I walked into the room, it turned a slow, terrible, eye towards me. It should have looked ridiculous, standing there bald and de-feathered, but it did not. It was the most horrible thing I had ever seen. Purple veins, twisted and gnarly, bubbled from under the flesh. The veins pulsed with a dark rhythm that didn’t match a heartbeat. Pockmarked flesh, red and pink, gripped the veins in an futile attempt to hold them in. But it was the eyes of the turkey that were the worst; they oozed an intelligent malice – aimed at me. One of those eyes twitched as we stared at each other in a silent battle of wills. The doorknob began to turn as my husband and daughter tried to enter. I looked away for only a moment, but that was enough. The spell was broken and, with a preternatural scream, the turkey leapt towards me, determined to kill me as I had done it. I fell back as the beast hit me in the chest, its claws scrabbling to find purchase in the soft tissue of my chest and belly as its beak flashed towards my eyes. My thick robe prevented the claws from doing any damage, but only a lucky flinch saved my face. I stopped thinking about how the bird could still live and focused on surviving the encounter. I grabbed the bird by the neck with both hands and twisted, as hard as I could. I’d broken the neck on birds in the past – sloppy kills required it. I heard, and felt, the satisfying snap as I, again, killed the turkey. It went limp in my hands as the malevolent life left its eyes. Breathing hard, I dropped the turkey on the floor as my husband and daughter walked in. Concern painted their faces, and I wanted to explain why I was standing in a tattered robe next to a dead turkey on our living room floor, but no words could explain this. Hell, I didn’t even know what had happened. Instead, I settled for a smile at Casey as I knelt to scoop her up and a reassuring shake of my head to Tom, my husband. I’d explain later, that shake said and, after a decade of marriage, he knew to leave well enough alone. After I kissed Casey, I turned to retrieve the turkey from the floor. My heart stopped beating when I saw that it was gone. I turned in circles, looking for the beast, but it was nowhere to be seen. A cold hand gripped my gut as my smile collapsed and my fear rose up in its place. I had to get my family out of the trailer. Something was seriously wrong with that bird. I know I had killed it. Twice. I looked over at Casey, across the room by this time, to order her outside. My scream died in my throat as the bird, a zombie bird I realized in an instant, attacked my daughter from behind. She never saw it coming, and had no chance to defend herself. Tom, God love his soul, reacted so quickly it amazed me. The bird had no sooner jumped on Casey and he was on top of it and flinging the fowl across the room with a warrior’s shout. I knew in an instant that I couldn’t let the zombie bird scratch any of us. I screamed for us to get outside and trap it inside. We all rushed to the door as the bird struggled to right itself and attack again. It screamed its fury at us as we passed the threshold and locked it inside. But the damage had been done. The zombie turkey had won after all. A long scratch blistered Casey’s back and a bite punctured Tom’s hand. That’s how it started. I hate Thanksgiving now. It reminds me of a time before the zombie outbreak, of a time before America’s favorite holiday bird destroyed the world as we knew it. Every turkey across the globe suddenly and unexpectedly turned into zombies when killed. As far as I know, my family were the first victims – and it makes a kind of sense. See, some of the few scientists that are left suspect the Zika virus was to blame. A mutation of the virus affected turkeys, which spawned a mutation, which spawned a mutation. And led to zombism. Yeah, I hate Thanksgiving. I killed that turkey a week before Thanksgiving by cutting of its head after I tended to Tom and Casey. On Thanksgiving Day, a week later, I had to decapitate the zombies that had been my husband and daughter. 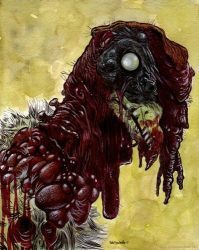 Zombie turkey art by Rob Sacchetto.